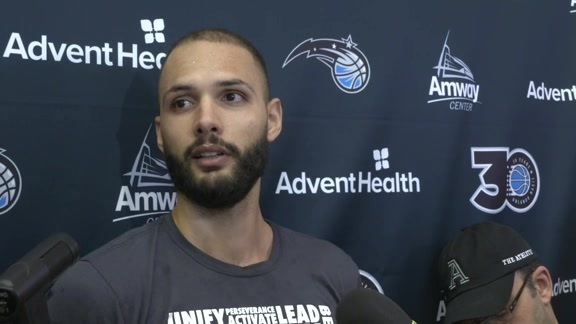 Fresh off nailing the game-winning shot against the Cavs, Evan Fournier had one of his best performances of the season. The seven-year NBA veteran erupted for 27 points on 12-of-19 shooting from the field. Aaron Gordon filled up the stat sheet and flirted with a triple-double, recording 15 points, 10 rebounds and six assists. He also had two steals and one block. The Magic continue to share the ball on offense. They accumulated 28 assists and have now dished out at least that many in six games this season. Orlando’s starters outplayed Detroit’s lead five for most of the night. Although Wes Iwundu only played 18 minutes, the Magic outscored the Pistons by 19 when the second-year forward was on the floor. 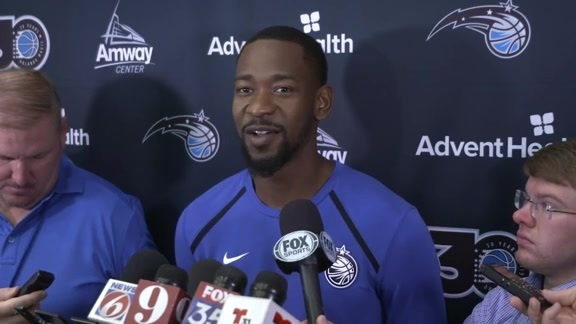 The Magic did a solid job protecting the rim, swatting away eight Piston shots. Mo Bamba and Jarell Martin each recorded two blocks. Turnovers were a problem for both teams, as the Magic coughed it up 21 times and Pistons 20 times. Detroit took full advantage of Orlando’s miscues, racking up 30 points off turnovers. The Magic, who rank last in the league in free throw attempts, only took nine foul shots. Although both teams shot relatively low 3-point percentages, the Pistons got hot from beyond the arc late. Stanley Johnson drilled two straight threes early in the fourth and Langston Galloway hit two from deep shortly afterwards. Reggie Jackson buried the dagger from downtown with 1:09 remaining.